Many Louisiana State University alumni go on to great success after college, especially LSU’s athletes. You may not know that there are tons of past LSU Tigers that wear the uniforms of professional teams in the NFL, NBA, and other sports leagues. We’ve compiled a list of the most notable LSU alumni who went on to play in professional sports. Andrew Whitworth was a key player in LSU’s 2003 Sugar Bowl win against Oklahoma. He played for LSU from 2002 to 2005 and was drafted by the Cincinnati Bengals in 2006, where he found success as a left tackle. In 2017, he signed a new contract with the Los Angeles Rams. Jamal Adams played for LSU from 2014 to 2016. He chose to forgo his senior year to enter the 2017 NFL Draft. He was viewed as one of the top safety picks by most sports analysts. He ended up being a sixth overall pick for the New York Jets. Leonard Fournette began making a name for himself in high school. He played for St. Augustine High School in New Orleans and won the USA Today High School Football Offensive Player of the Year in 2013. He continued his performance of excellence with the LSU Tigers in 2014 and was selected as an All-American in 2015 after setting both school and national records. He was drafted in 2017 to join the Jacksonville Jaguars. 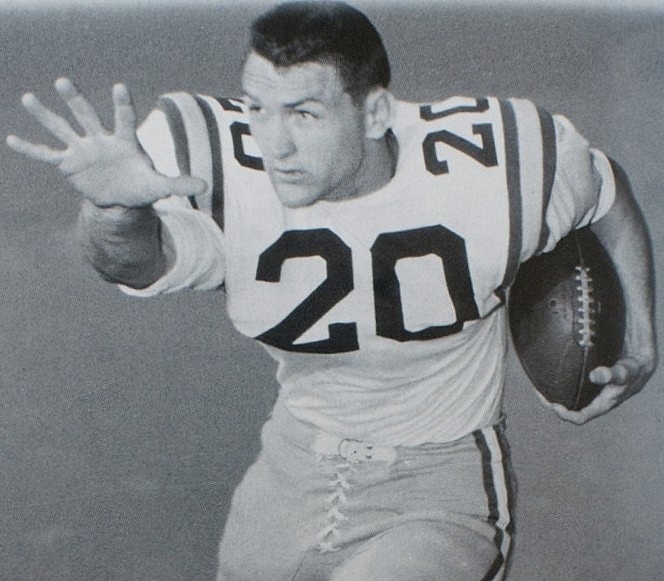 Billy Cannon received the Heisman Trophy as the nation’s most outstanding college player in 1959. He played halfback and return specialist for the LSU Tigers from 1957 to 1959. He made LSU history and was inducted into the LSU Athletic Hall of Fame in 1975, the Louisiana Sports Hall of Fame in 1976, and the College Football Hall of Fame in 2008. He began his professional career as the first overall pick in the 1960 NFL Draft and went on to play for the Houston Oilers, Oakland Raiders, and Kansas City Chiefs. Recently inducted into the New York Jets’ Ring of Honor, Kevin Mawae was first an LSU Tiger. He played for LSU’s football team from 1989 to 1993 as a left tackle, center, and left guard. In his professional NFL career, he found success as a center. He played for the Seattle Seahawks, New York Jets, and Tennessee Titans, then retired after 16 years of play. He briefly served as an offensive line coach for the Chicago Bears in 2016. One of the most famous basketball players of our time, Shaquille O’Neal attended LSU from 1990 to 1992. He left a year early without completing his degree to pursue his career in the NBA. However, he returned to complete his degree in 2000 and today holds both master’s and doctorate degrees. O’Neal was drafted by the Orlando Magic in 1992 and played for six different teams throughout his career, many of which he led to championship wins. Presently, he’s retired from basketball and serves as a sports analyst on Inside the NBA. Pete Maravich holds the highest average scoring record in LSU basketball history and is known to be one of the greatest basketball players of all time. He played for three NBA teams: the Atlanta Hawks, New Orleans Jazz, and Boston Celtics. He was unfortunately forced to retire due to injury, but left with a documented and awarded success. He was the youngest player to be inducted to the Naismith Memorial Basketball Hall of Fame and won many awards. Current holder of the SEC record for career rebounds, Sylvia Fowels was a starter for the LSU women’s basketball team for all four years of her college career. She went on to play for the Chicago Sky in the WNBA in 2008 and was later traded to the Minnesota Lynx with whom she won a WNBA Championship and was named the WNBA Finals MVP in 2015. Lolo Jones competed on LSU’s track and field team from 2007 to 2010 and was awarded 11 All-American honors and two gold medals at the World Indoor Championships. After college, she went on to become an Olympic athlete as both a hurdler and bobsledder. All-American Alex Bregman played shortstop for the LSU Tigers baseball team from 2012 to 2015 and won many awards, including the 2013 Brooks Wallace Award as the country’s best college shortstop. Bregman signed with the Astros in 2015 and became the highest-drafted position player in LSU’s history. He was selected second overall in the 2015 MLB Draft. School is back in session, and so are fall sports. 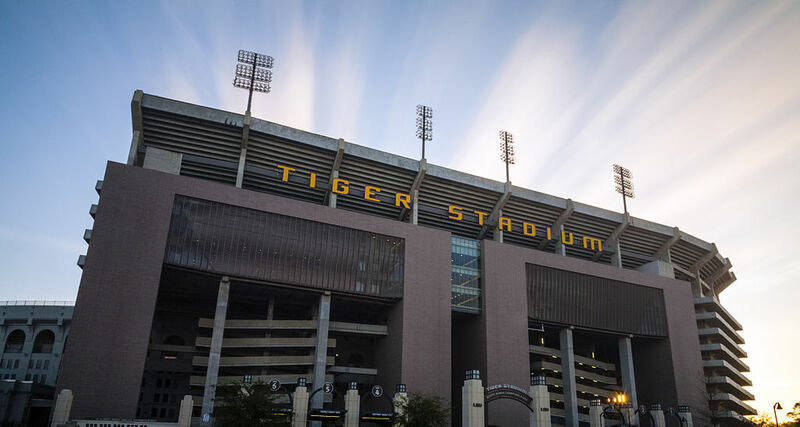 You can view LSU’s full football schedule and all their sporting events here. Find out who’s on LSU’s team this year and who is destined for future greatness.